To receive payments via direct deposit, the parent receiving support must have a bank account. No bank account is necessary to receive funds on a U.S. Bank ReliaCard Visa prepaid debit card. To learn more about ReliaCard, visit Prepaid Cards ». We may be holding money that belongs to you. Please visit the Find Unclaimed Child Support Funds page for more information. What is the total maximum amount that can be withheld from the employee’s disposable income? In Oregon, the maximum withholding limit is 50 percent of the employee’s disposable income. The Enrollment/Authorization Form (PDF) » is available both online and by mail. To request a a form by mail, call 1-800-850-0228 and leave your name and Social Security number or twelve-digit child support case number. What additional information should be included with my application? If you wish your payments to be deposited in a checking account, attach a blank voided check. If depositing to a savings account, submit a letter from your financial institution with your account number and routing information. Can I fax my enrollment/authorization form? Yes, our fax number is 503-986-2416. Be sure to include a voided check or a letter from your financial institution with your account number and routing information. When will my direct deposit go into effect? Once your authorization form has been received and processed, a “pre-note” process begins that takes seven days. This allows the Oregon State Treasury time to verify that the account information we received will accept direct deposit. Once the pre-note process is complete, an activation letter will be mailed to you indicating active status and the account number(s) where the funds will be deposited. Please review this information for accuracy. To verify deposited funds, you may contact your financial institution. You may verify the date the deposit should be made to your account by calling in Oregon 800-850-0228 or 503-378-5567 outside Oregon. What happens if money is received on my case during the seven-day pre-note period? Any money received on your case during the seven business day pre-note process will be mailed to you by check. Once my case is active, what is the timeframe for deposits into my account? Once money is received for your case, it will take two business days to arrive in your account. When the deposit is made to my account, will I be notified by mail? No. To verify deposited funds, you may contact your financial institution. You may also verify the date the deposit should be made to your account by calling in Oregon 800-850-0228 or 503-378-5567 outside Oregon. You may also check your Payment History to see your accounting records. You will need to open another savings or checking account, and enroll in direct deposit or enroll in the ReliaCard program. We will automatically enroll you in the ReliaCard program if you do not enroll in a program. What if I have additional questions about direct deposit? You may review the extended ReliaCard and direct deposit information FAQs or contact your case manager. Who can receive child support services? Child support services are available to both parents. Even if you or the other parent live in another state, you can apply for child support services in Oregon. Relatives or other caretakers who have physical custody of a child are also entitled to child support services. Who provides child support services? If your child receives or has received public assistance in Oregon, the Oregon Department of Justice’s Division of Child Support provides child support services. Public assistance means Temporary Assistance for Needy Families (TANF) » or Medicaid (including the Oregon Health Plan). The Oregon DOJ Division of Child Support also provides services if your child is in the care of the Oregon Department of Human Services » (i.e., foster care) or the Oregon Youth Authority ». If your child has not received public assistance, in 25 counties you can receive child support services from the District Attorney in the county where you live. In 11 counties, the Oregon DOJ Division of Child Support provides services for the District Attorney by contracted agreement. A request for review and modification of your order may be assigned to the county where the original order was taken, or to the county where the other parent lives. You should check with your local District Attorney for more information. If the Oregon DOJ Division of Child Support handles your case, contact your local Child Support office if you have questions regarding modification of your order. Who do I contact for child support services? If your child receives public assistance and you have questions about establishing paternity, or establishing, modifying, or enforcing a support order, contact the nearest Child Support office. If your child has not received public assistance, contact the District Attorney in your area. If you are thinking of applying for public assistance, you may want to contact your local District Attorney child support office first. They may be able to help you get child support, which may mean you can avoid going on public assistance. If you receive public assistance, you are required to cooperate with the Oregon DOJ Division of Child Support. However, if you can show that doing so would be harmful to you or your child, you may be exempt from cooperating. Read more about support for child abuse and domestic violence. Whether or not you receive public assistance, your cooperation with the Oregon Child Support Program is necessary to successfully establish paternity or collect child support. If your child receives public assistance, your child support case should be referred automatically to the Oregon DOJ Division of Child Support. That is also true if your child is in the custody of the Oregon Department of Human Services » (i.e., foster care) or the Oregon Youth Authority ». If your child does not receive public assistance, in 25 counties you can apply to the District Attorney in the county where you live. Find out where to call using the District Attorney office directory. You will be asked to complete an application and charged a one-time fee of $1 for this service. The fee will be deducted from the first money we collect. See How to Apply for Child Support Services for more information. Legal Advice – The Oregon DOJ Division of Child Support and the District Attorneys who provide child support services represent the state of Oregon and cannot offer legal advice. Any person involved in a case handled by the Division of Child Support or a District Attorney may hire an attorney at their own expense. In contempt and criminal nonsupport cases, the court will appoint an attorney to represent the person charged if that person cannot afford an attorney. See Get Legal Help for more information. Please tell the Oregon Child Support Program if you have an attorney who represents you in any child support matter. The Division of Child Support or the District Attorney must work with your attorney unless your attorney says we can talk with you. Spousal Support – Spousal support is enforced only if there is also child support. If there is no child support order but the person receiving support receives public assistance in any form, we can initiate income withholding and provide accounting services. The DOJ Division of Child Support does not provide other enforcement. Some District Attorney offices do provide limited services. If the person receiving support is not receiving public assistance, we will pass through any payment for spousal support if we receive a copy of the order and know where to send the funds. Visitation & Legal Custody – Neither the DOJ Division of Child Support nor the District Attorney can advise you about visitation or custody matters. These matters must be discussed with a private attorney or handled in court. There are mediation services offered by other entities in Oregon. See Parenting Time for more information. Most parents who pay support use income withholding to fulfill their child support obligations. This means a child support payment is automatically withheld from the parent’s paycheck and sent to the Oregon Child Support Program. If granted an exception, the parent who pays support may choose an alternative method of payment such as an electronic withdrawal from their bank account, payment by check, or money order. Please include the Social Security number of the parent paying support, or the child support case number on the check or money order. For more information, please see Pay Support. Do I have any alternatives to income withholding? 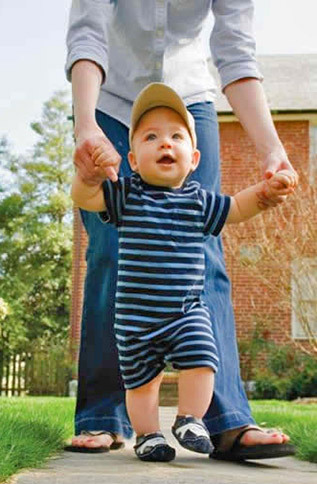 All new or modified child support orders normally require income withholding. The court or Oregon Child Support Program may allow an exception by making a written finding that there is “good cause” to not order income withholding. This means you must show that income withholding would not be in the child’s best interest and that you have made all previous payments on time. If child support payments are already being withheld from your income, you may request an exception once each of the following conditions has been met. you have complied with the terms of any previously allowed exception. you pay any and all past-due support you owe due to missed payments. you authorize payment of support from your bank account each month by completing an application for electronic payment withdrawal (EPW). the other parent consents to payment by EPW or, if money is owed to the state, the state agrees to payment by EPW. request an exception in writing. have complied with the terms of any previously allowed exception. have paid any and all past-due support on time, and continue to make all of your payments on time. If you get an exception and then fall behind paying support, income withholding will begin. This could happen if you do not keep enough money in your bank account to cover your monthly support payments. Income withholding also could begin if you close your bank account. If you fall behind in paying support, we cannot grant you an exception in the future. For more information about getting an exception, please contact the child support office handling your case. Do I have to make payments through the Oregon Department of Justice? your child support order states that payments must be made in this manner. one of the parties in your child support case submitted an application for child support services. your child is receiving or has received some form of public assistance from the state. child support is assigned to the state because your child received some form of assistance. If support is assigned to the state because your child received some form of public assistance, you must continue to make payments to the Division of Child Support. the amount of the support payment. the date payment is due. the account number of the checking or savings account to be used; or the name of the escrow agent, to whom, and the account number into which the payments are to be electronically transferred. For more information, please contact your case manager or a child support office near you. Are all payments of child support sent electronically? All child support payments to parents receiving support are intended to be paid electronically. Child support disbursements are made either by direct deposit to a bank account or onto a ReliaCard, unless a customer has received an exception. If I normally pay support, will any funds due to me come in a paper check? Yes, funds returned to parents who pay support and to employers will be disbursed as a paper checks. Can I get an exception to electronic disbursement? Yes, we will consider special circumstances on a case-by-case basis to decide if an exception to electronic payments is available. How do I make a request for an exception? You must make a request for an exception by submitting a Request for Exception to Electronic Disbursement Enrollment forms, linked below. We will review the request and notify you of our decision within 30 days of receiving your request. What criteria does the Oregon Child Support Program use when making its decision about exceptions? We review the situation to identify if sending payments by paper check is in the best interest of the child(ren). Where do I find answers to my questions about exceptions and receiving checks? You can ask questions of your child support case manager or the Outgoing Electronic Payments desk in Financial Services. How do I contact my case manager? To locate your assigned office address and telephone number, log in to the interactive Case Information page or locate the Child Support office nearest you. How do I get help to resolve a problem with my child support case? The best way to take care of an issue is at the local child support office that handles your case. If you have not yet talked to a lead worker or manager at the local child support office, contact the office nearest you to ask to speak to them. If you have already done this and your issue has not been resolved, contact Constituent Services at the Oregon Child Support Program at 503-947-4388. You also may email Constituent Services at Constituent.Desk@doj.state.or.us. How do I change the amount I receive or have to pay? you can show proof there has been a substantial change of circumstances. This could mean a change in custody, the needs of the child(ren), or the number of children covered by the support order. It could also mean a significant change in a parent’s income, or a change in medical support. For more information, see Modify an Existing Child Support Order. Who can I contact about changing the current child support laws? The Oregon Child Support Program does not have the authority to make changes to state or federal laws. If you have concerns about child support laws or you want to suggest how they may be improved, please contact your state senator or representative. Who can I contact regarding the website? 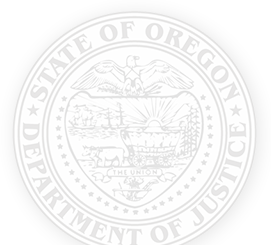 If you have suggestions for how we can improve the Oregon Department of Justice and Child Support Program website, please send your comments through our feedback form ». We value your opinion and look forward to hearing from you. What if I don’t find the answer to my general question? If you were unable to find the information you were seeking, contact us for support. If you think the answer to your question may be helpful to other people, we invite you to send your comments through the feedback form ». We work hard to make information more accessible to the public and look forward to hearing from you. Parties in child support cases are entitled to fair, professional, courteous, and accurate service from the offices of the Oregon Child Support Program. If you have not received this level of service, please contact a supervisor in that office. If speaking to a supervisor does not resolve the issue, you may wish to file a grievance using the Child Support Grievance Form (PDF) ». The form contains instructions for filing the grievance, including the address where it should be sent. Your grievance will be screened, and if accepted, responded to within 90 days.